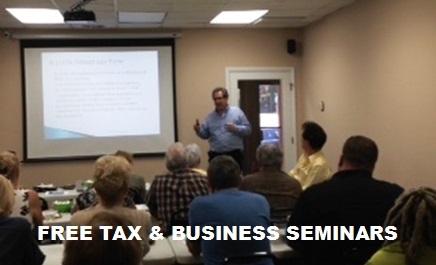 Join us Wednesday, November 30th at 6:00 PM for a seminar on Tax Planning for 2016 and beyond. We will cover year-end tax planning moves you can make to reduce your 2016 tax bill for both individuals and business. Along with actions you can take there will be plenty of time for questions and even a look into our crystal ball of what effect the election will have on your taxes and what you can do about it. Space is limited so make your reservations early. Call 954-563-1269 between 9AM and 5PM Monday through Friday to reserve your seat and a chance to attend this FREE SEMINAR. This entry was posted in Uncategorized on October 12, 2016 by Steve Weil.